Mondelez has become the latest CPG company to engage crowdsourcing tactics to promote its brand. 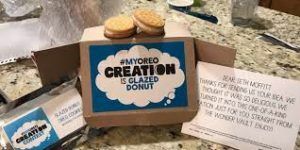 In 2017, Mondelez launched the #MyOreoCreation contest, asking consumers to send in flavor suggestions through social media. After reviewing thousands of submissions, the Company chose three finalists and awarded them $25,000. The winning flavor will win $500,000 and the opportunity to visit the “Oreo Wonder Vault” where the cookies are made. To engage consumers further, the Company sent prototypes of interesting flavors to submitters. Not surprisingly, these social media users quickly posted photos of these cookies. In fact, prototypes such as Avocado Oreos caught the attention of numerous media outlets from Teen Vogue to Buzzfeed. These earned media opportunities not only helped promote the contest, but also allowed young consumers to interact with the Oreo brand. According Zambezi Co-Founder and Managing Director Chris Raih, “people are harder and harder to reach, and we live in an attention-based economy where attention is the most valuable commodity there is. If the end goal is to get people to engage people with the brand, then crowdsourcing is the way to do it.” Crowdsourcing gives Oreo consumers a way to interact on their own terms and pulls their communities in to react as well. Although the campaign has helped boost Oreo’s brand (which now has 43 million followers on Facebook), there are some potential setbacks to engaging a crowdsourcing model. By soliciting feedback from the masses, companies give up some control over the brand image. Engaging social media can lead to association with content that may not be aligned with the brand’s values. For instance, the Villa Fresh Italian restaurant launched the “Dub the Dew” campaign in 2012 to “help” Mountain Dew name its new flavor. Many users submitted offensive and inappropriate ideas which received enough support to top the rankings. Even though Mountain Dew and PepsiCo were not involved in this campaign, the Company was still forced to release a statement: “Dub the Dew,” a local market promotional campaign that was created by one of our customers – not Mountain Dew – was compromised. We are working diligently with our customer’s team to remove all offensive content that was posted and putting measures in place to ensure this doesn’t happen again.” Companies must diligently monitor crowdsourcing campaigns that they design as well as those that use their name to ensure that they lead to positive outcomes and brand accretion. The #MyOreoCreation appears to be a success for Mondelez in terms of earned media and social media exposure. However, the profitability and runway of these new Oreo products has yet to be seen. 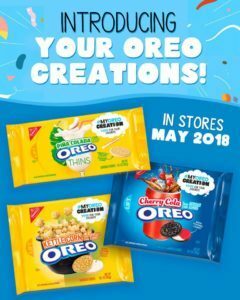 Over the years, the Company has released dozens of new Oreo flavors in hopes of getting consumers to purchase more product. “Oreo clearly understands the days of selling the same old product to everybody are over. If they had a new Vanilla Cream flavor, we wouldn’t be talking about it” states Professor John Stanton. The question remains: overtime, will these new flavor introductions and crowdsourcing campaigns become pedestrian to consumers or keep everybody talking? First, I would definitely try a pina colada oreo. I think it is interesting that different companies have had various levels of success of building community through these type of campaigns particularly related to ‘trolling’ and inappropriate content. Are there differences in technological solutions being used or did Modelez just do a better job of monitoring submissions in real time? I would be interested to learn more about technologies that are trying to catch offensive posts, this seems like a perfect application for current machine learning capabilities. Thanks for this interesting post. 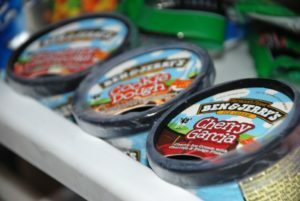 As more CPG companies begin to use crowdsourcing to select new flavors, I wonder of this method of customer engagement will become more or less effective. Also, how sustainable is this growth if companies are using catchy short-term campaigns like this to get customers to purchase new flavors on a whim? It will be interesting to see how this tactic evolves over time! Thanks for the interesting post! Through launching this campaign, a huge benefit is that Mondelez reduces the product launch timeline and associated R&D costs . One risk though is that any experienced short-term boost in sales may wear off once the novelty of the new flavors subsides. Other CPG companies such as Pepsico (“Do Us A Flavor” campaign) have been forced to discontinue product lines that eventually lost appeal despite being the “winning” flavors. Per Brittany’s point, I wonder how long-term the benefits from these CPG campaigns are. Lego’s Ideas platform is a similar initiative that has been around for a while, but I have not been able to find any data that shows sustained sales growth. Maybe the only benefits from these campaigns are enhanced brand image and buzz? Will be interesting to see how CPG organizations continue to try to create and capture value. Thanks for the post! This is really interesting! However I’m wondering whether this is just a one-time-off event and more like a promotion scheme rather than a real initiative built up for crowd-sourcing creative ideas that really brings differences to the CPG world. This seems to be a new trend among many CPG companies, not just Oreo! I really like your perspective how this approach of crowdsourcing is less about getting value from the power of the crowd, but instead is a tool to engage consumers in an era where it is increasingly more challenge to capture and sustain consumers’ attention. While you pointed out that they have improved the efficiency of their R&D, I do worry somewhat about how distracting these campaigns could be to their core brand and core operations. Thanks for the article! I agree with the points that the long-term sustainability and value creation of such crowd-sourced campaigns is questionable. It’s certainly a hard balance for companies to navigate. I wonder if there’s a way for companies to offer more guidance in the campaign so that it won’t veer off into a completely different direction. Thanks for the post! I agree with many of the previous comments regarding long-term sustainability for crowedsourced innovative flavors. But my question is whether it should be an issue at all. Specially for small twicks that do not affect production lines operations (ex. 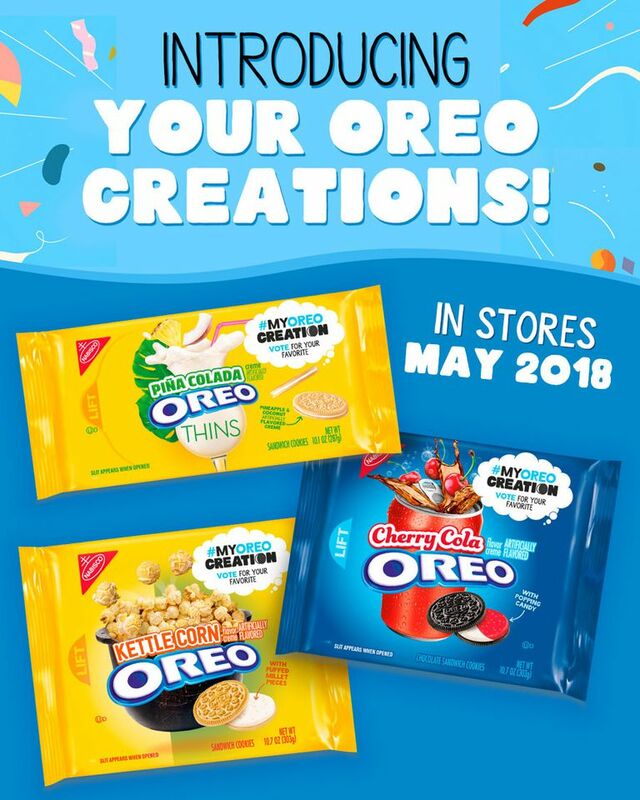 changing the color or flavor of the oreo filling) why can’t this be a way of promoting “temporary” or season flavors vs aiming for embedding innovation in the product creation process (closer to what Ben & Jerry does). Another interesting aspect to evaluate around this could be the stregth of the brand, and if consumer loyalty towards stronger brands could better support these types of strategies. Another big area where large companies are trying to tap into crowd-sourcing is apparel. An interesting example of this is Converse (a subsidiary of Nike). http://www.converse.com/Custom-Shoes Converse allows anyone to customize their shoe with a simple promise: “1. Make it yours, 2. We build it, 3. We ship it for free”. After selecting your base shoe (low, high, slip), you can customize 13 different attributes of the shoe, including the stiching, laces, tongue label, and even by adding custom text and patterns. “Chucks By You” pop-ups have also been gaining traction at traditional retail channels (https://www.houstoniamag.com/slideshows/2017/12/12/custom-converse-galleria-pop-up). But this raises a big question for CPG and apparel crowd-sourcers: How can you achieve efficient manufacturing and economies of scale if you’re opening yourself up to a greater range of products? Manufacturers will either need to be able to charge premium pricing, or they will need to achieve greater LTV from customers who are able to customize their favorite brands. Otherwise, I doubt it warrants the added costs of unpredictable inputs and more complicated production processes. With so much focus on CPG companies attempting to grab our attention to then get to our wallets, I wonder the to what extent these types of campaigns will go. Also, how is it best to optimize for the benefit of the larger brand/company. Are they looking to get honest feedback on potential flavors, or are they looking to maximize brand impact?